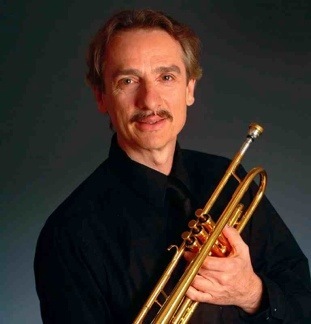 The Intrada Brass Ensemble, a 10 piece brass ensemble based in Lancashire, are proud to host Allen Vizzutti at his only public concert in the North of England during his upcoming UK visit. Intrada is made up of brass players from all backgrounds, brass bands, jazz and orchestral, and performs regularly throughout the North West. The group is delighted to be asked to perform alongside such a legend of the brass world, and is looking forward to a great night. In association with Yamaha Music, and the Music Cellar, Preston, the concert is at Holy Name Church, Oxford Road, Manchester (near the RNCM) on Monday 14th October at 8pm. The concert is a very varied programme of music, from Gabrieli to Gershwin, and will feature several solos from Mr Vizzutti. Tickets and further details are available at https://intradabrass.eventbrite.co.uk and are reasonably priced at £6, £5 for students.